Joseph's maxi skirt is quietly elegant, so we can guarantee you'll want to wear it repeatedly to future parties and events. 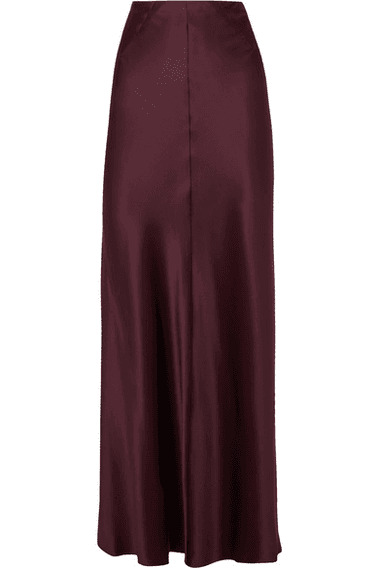 It's cut on the bias from burgundy silk-satin that skims your figure and trails to an ankle-skimming length. Team yours with the matching tank or try it with an oversized sweater in the same shade.